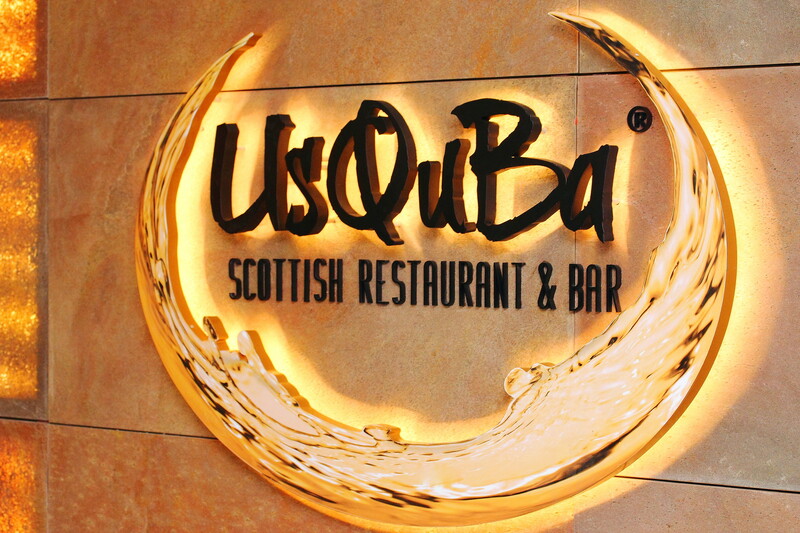 A new and exciting restaurant, UsQuBa Scottish Restaurant & Bar opens its door at One Fullerton offering new Scottish cuisine specially created by Executive Chef Guven Uyanik using produces sourced from Scotland's highlands, skies and waters. Chef Guven Uyanik has worked in Michelin-starred restaurants and mentored under Thomas Keller (three Michelin-starred The French Laundry) before moving to Asia to take up the role of Group Executive Chef of Kee Club in Shanghai and Hong Kong. Eventually helping the group to a one Michelin star in 2013 which is his second under his belt. Besides the 120 seater dining area, the 40 seater bar and adjacent den serves a curated whisky list that will satisfy both the novice and aficionado with familiar favourites and up to 30 reworked classic cocktails. It also carries an impressive list of rare and exclusive whiskies, Scotland's finest craft gins and beers that have received worldwide acclaim. Our dinner at UsQuBa started with some Focaccia with Truffle and Cherry Tomatoes. Slightly toasted to an exterior crispiness while still fluffy inside. 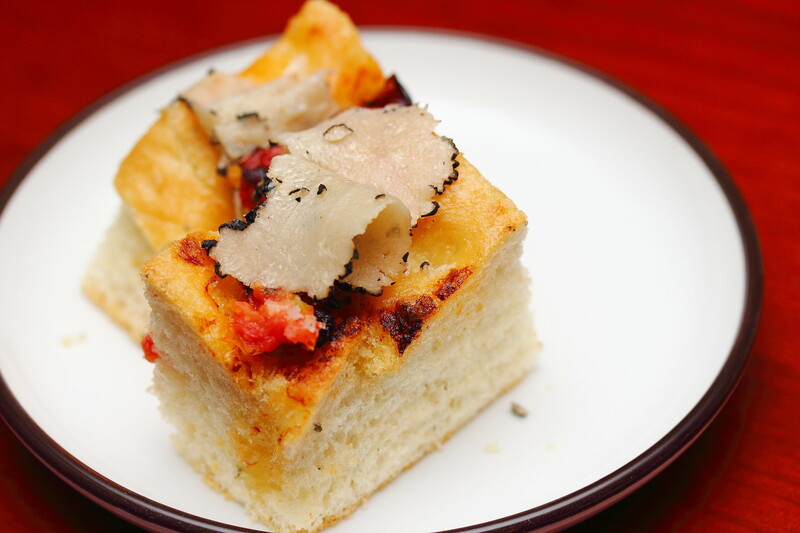 The warm and comforting focaccia is further perfumed and accentuated by the truffle and cherry tomatoes. 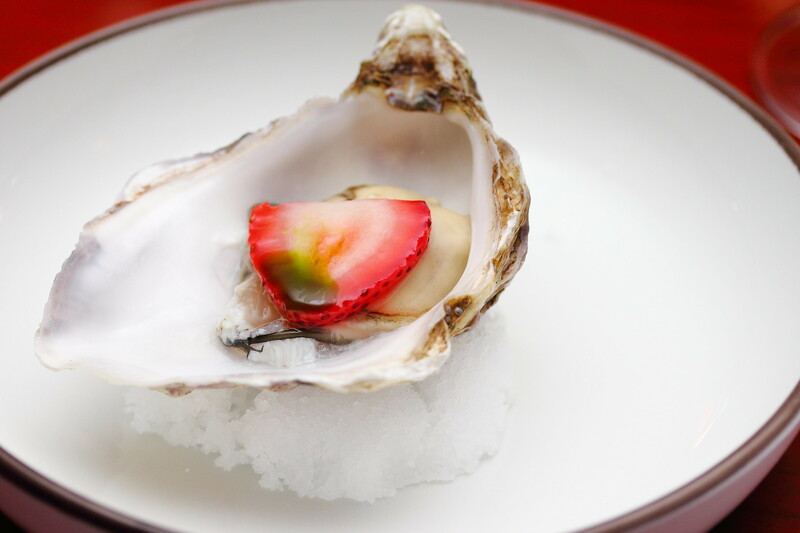 Chef Guven Uyanik definitely arouse my interests of his cuisine when he paired the Fresh Oyster with Strawberry for the amuse bouche. I didn't expect both ingredients to work harmoniously together. It definitely created a new experience on my food journey. 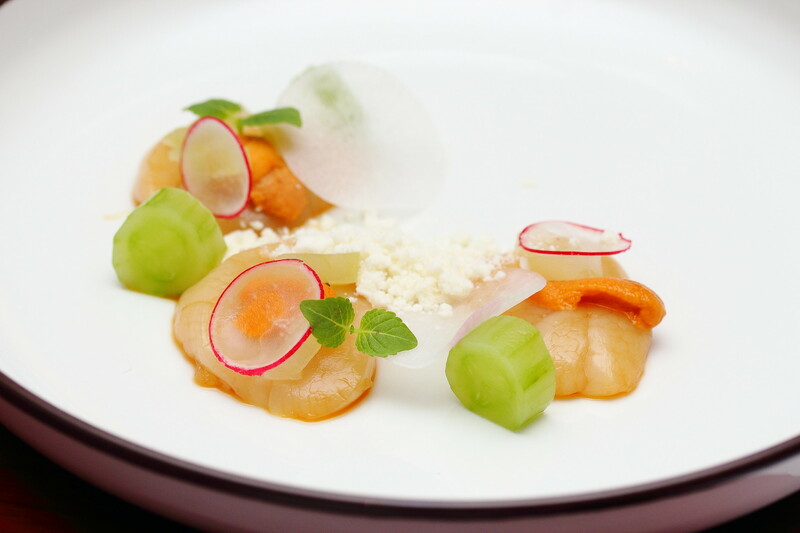 Following that we have the Orkney Islands Scallop Ceviche ($25) which showcases the plump and sweet scallop. The sea urchin that is topped on the scallop further elevated the sweetness of the scallop. The clever used of the horseradish snow, compressed cucumber and apple provided the balance and extra texture for the dish. 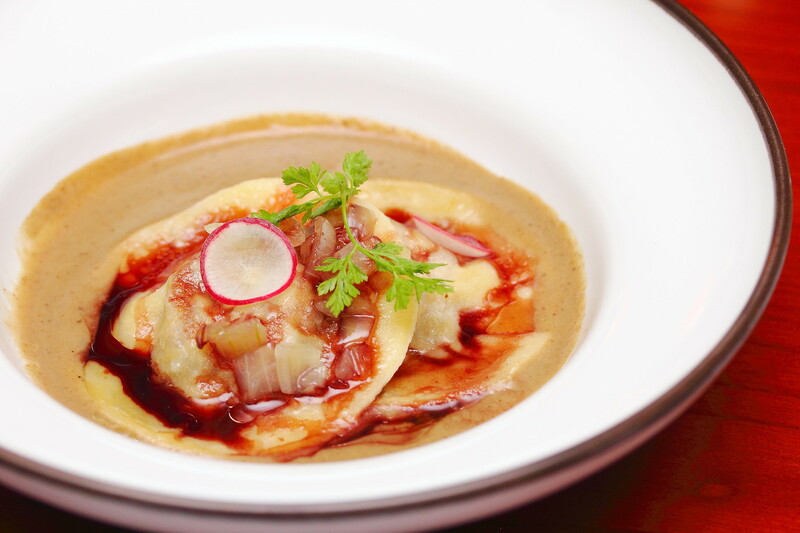 The huge Ravioli of Pork Cheeks ($21) is stuffed with delectable pork cheeks and topped with confit onion and red radish. The highlight in this dish has to be the porcini sauce and port wine reduction that crowned the delicious ravioli wrapped in thin pasta sheet. I was told that no water was used in making the pasta sheet and it has been rolled 21 times to achieve the thin texture. 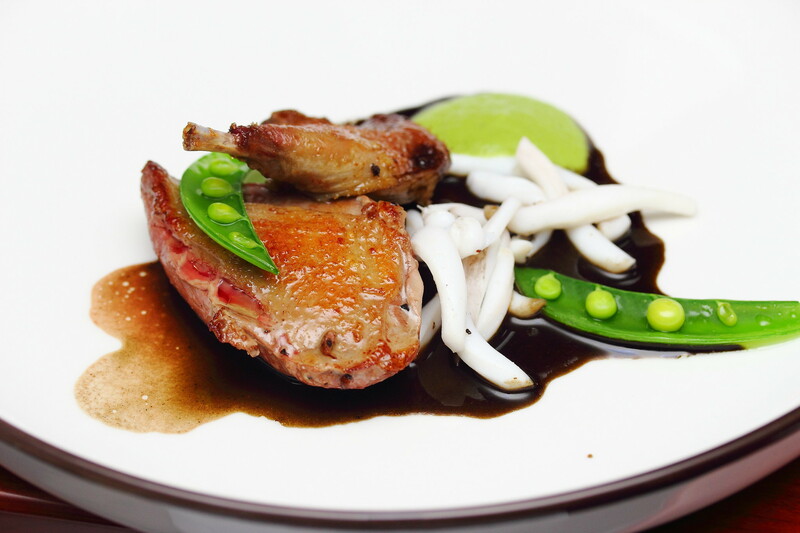 The Baked Pigeon ($32 half/$46 whole) is cooked in two ways. The pigeon is pan seared perfectly to pink. What intrigued me is the pairing of squid ink sauce, calamari and peas. This combination has never crossed my path. Chef Guven Uyanik impressed me once again with his unique combination that strikes a harmony approach to the dimension of the dish. 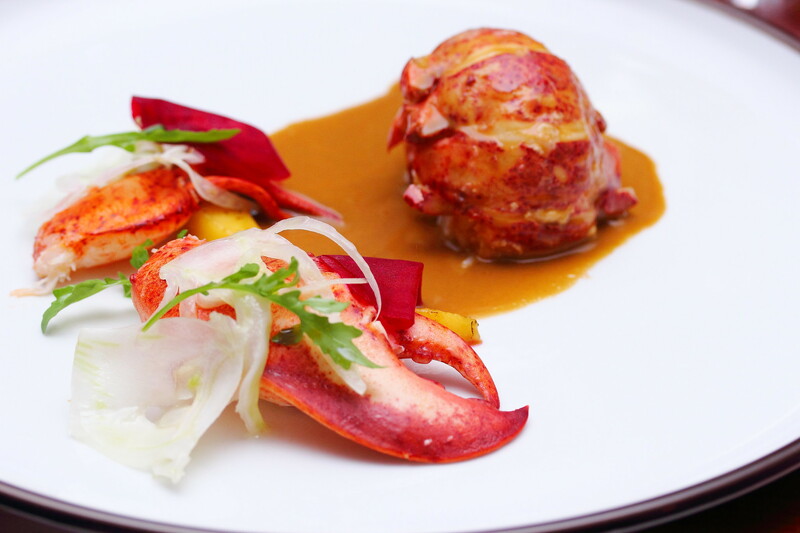 The Butter Poached Lobster ($58) is cooked to an enjoyable bouncy texture complemented with the lobster jus. The rich and beautiful flavour of the crustacean is paired with peaches, beetroot and fennel salad for needed balance and texture. Wrapping up our dinner is the Tastings of Strawberry ($15). 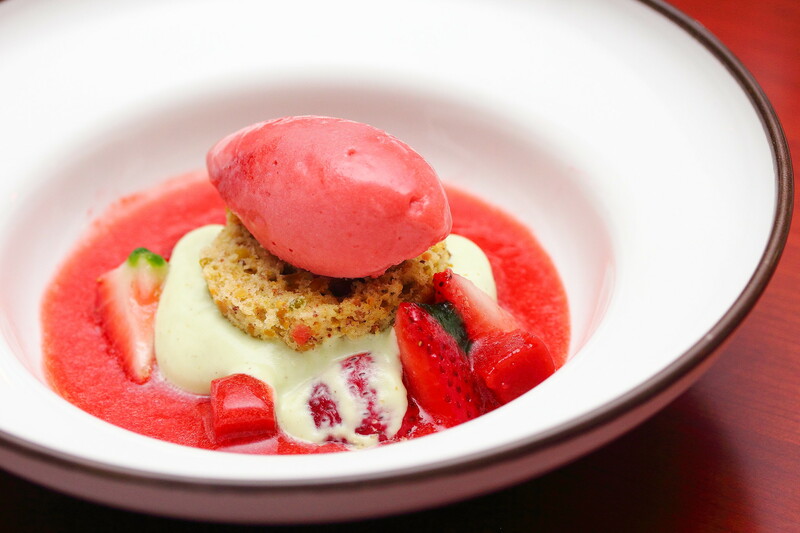 The sourish of the strawberry from the strawberry juice and strawberry sorbet forms a beautiful marriage with the nutty pistachio biscuit and cream. Unknowingly, the addictive dessert disappeared from my plate. UsQuBa also offers some fine Scottish cheeses on the menu. 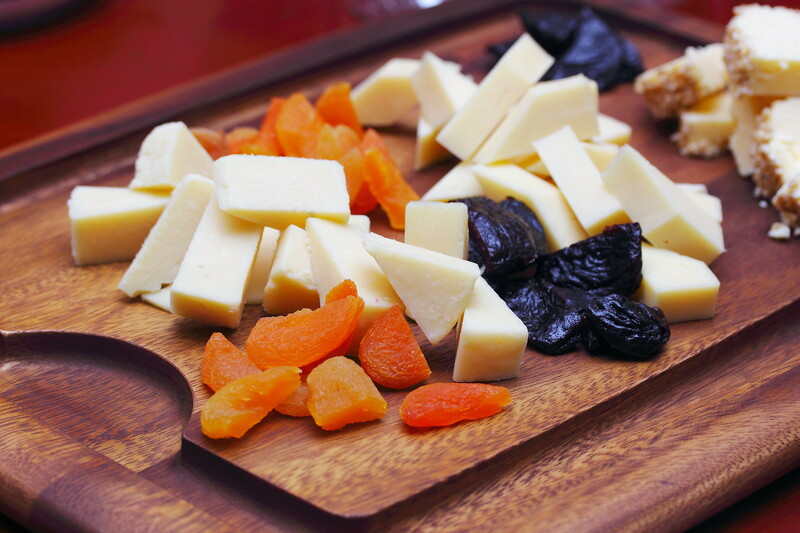 We have the Cheese Platter ($24/pax for choice of any 3 cheeses). My favourite is the Arran Cheddar Cheese, a fine medium cheddar cheese comes from the beautiful isle of Aaran. For the Caboc, said to be Scotland's oldest cheese, I would recommend asking for some warm bread to go with the rich double cream cheese. 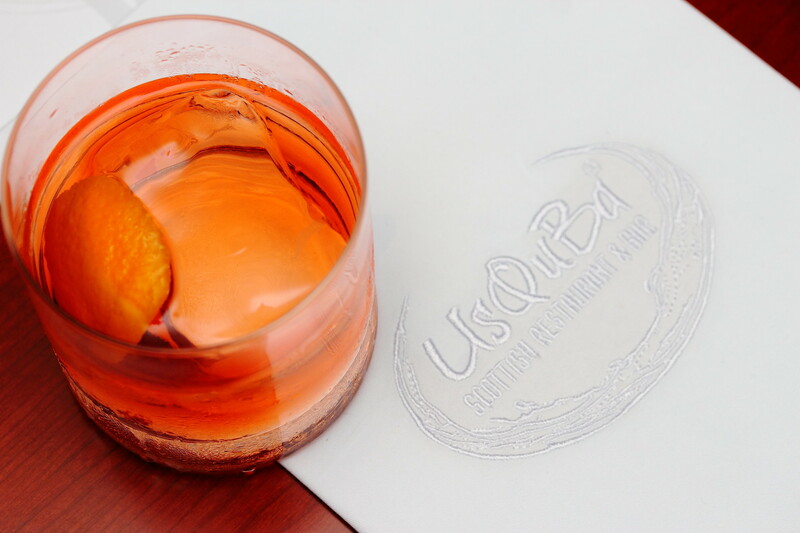 UsQuBa is probably the first Scottish fine dining restaurant in Singapore with a extensive selection of whiskies, handcrafted gin and beef. With Chef Guven Uyanik at the helm and after tasting his food, I have great hope that the restaurant will be the next shining star in the scene.